Transportation industry management app MyQ emerged the winner from the Nigerian leg of the global Seedstars World competition on Friday, July 31, and will now head to Geneva next year to compete for US$500,000 investment at the global final. 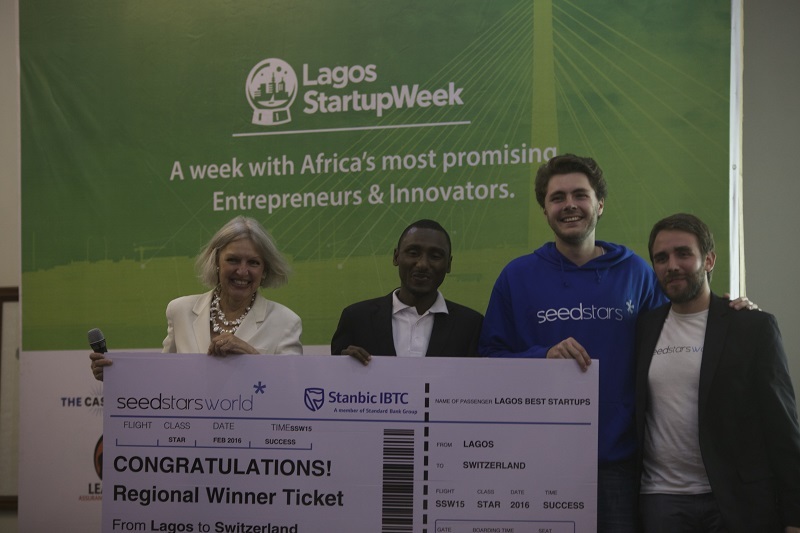 Disrupt Africa reported last week Seedstars World had announced the 10 startups that would compete in the Nigerian leg of the competition in Lagos. The winner was MyQ, a mobile application that provides queue management, passenger loading and ticketing services to the transportation industry. The startup was chosen by a panel of judges including Tomi Davies, president of the African Business Angels Network (ABAN). “I feel great, we are happy and we really appreciate winning the title. Both the bootcamp and the actual event were inspiring and we are really looking forward to see what’s next,” said Ishiaku Gwamna, MyQ founder. In second place was HR and payroll software Talentbase, while digital content distribution system Nerveflo came in third. Tembo won the award for most popular company. “This crop of entrepreneurs are different in that they came prepared to show why their products are market beaters and their business model differentiated. Seedstars itself has grown up with better organisation and deeper relationships in the country,” Davies said. Seedstars Lagos also featured speaker Candace Johnson, the president of the European Business Angel Network (EBAN), who presented her lessons from being a serial entrepreneur and an active angel investor. Seedstars World events have already taken place in Maputo, Mozambique and the South African cities of Cape Town and Johannesburg, with the next stop Accra, Ghana, on August 5. Previous ArticleModular In-boxes: the future of sustainability, economic growth in low-income Africa?